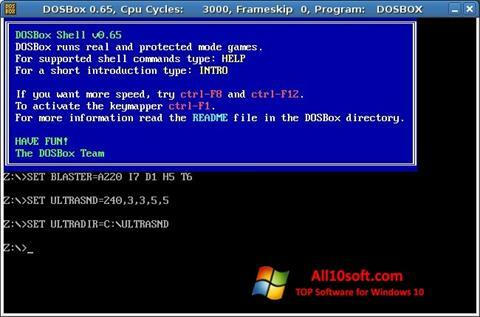 DOSBox for Windows 10 - emulation environment for running dos games and applications. The program supports most of the commands of the original operating system, interaction with most of the connected devices, allows you to generate BIOS interrupts and IBM PC hardware structure. The utility includes the ability to generate HDD disks from the specified user folder, it is capable of creating several graphic modes to choose from, contains a number of tools for organizing network interaction. The program uses several built-in COM applications, works without integration into the system and consumes a minimum of RAM. You can free download DOSBox official latest version for Windows 10 in English.